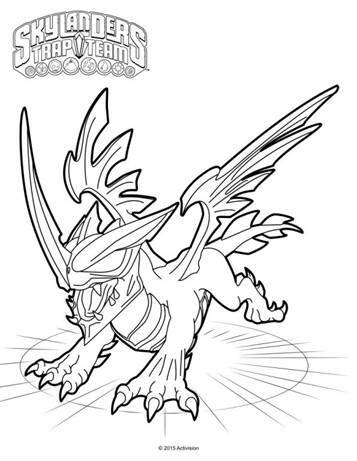 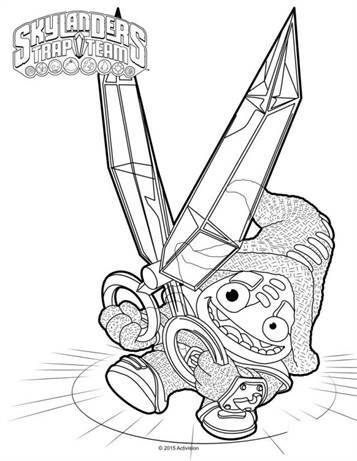 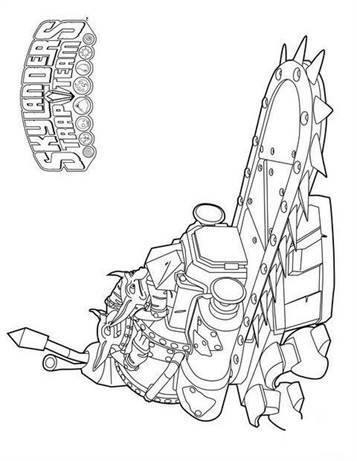 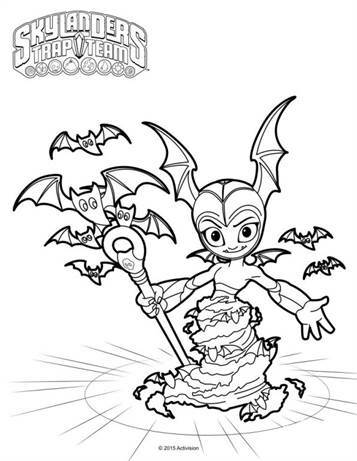 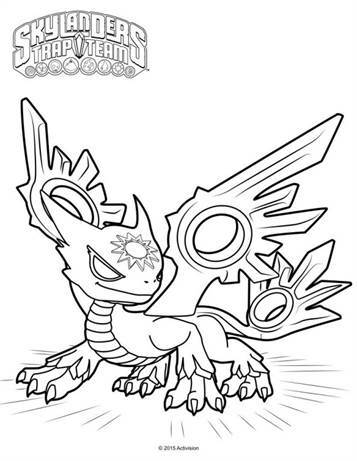 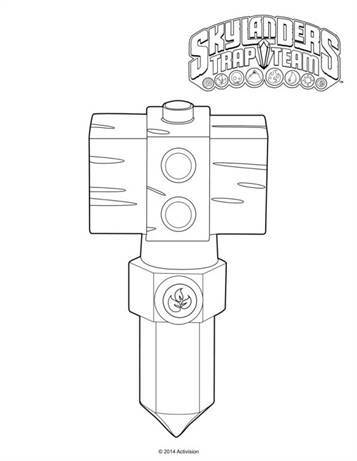 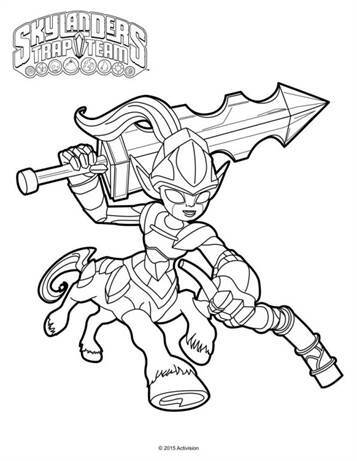 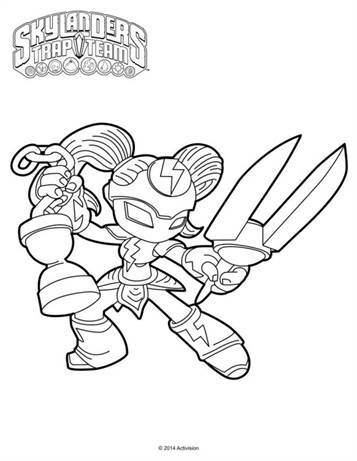 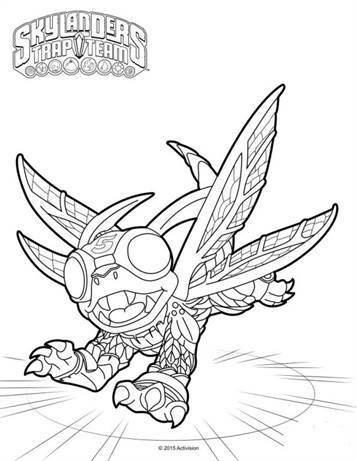 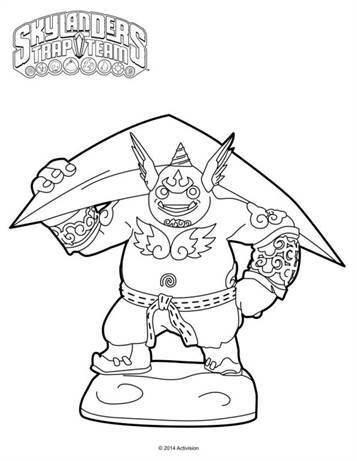 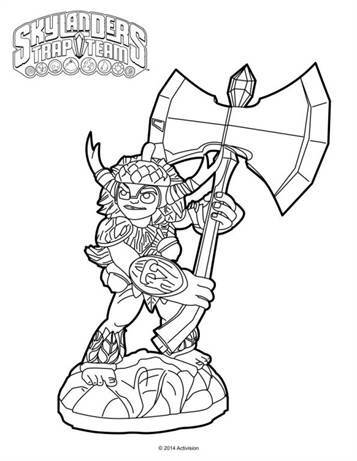 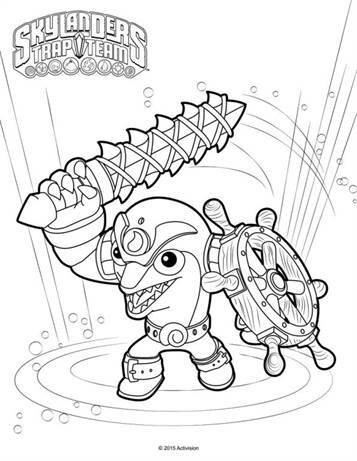 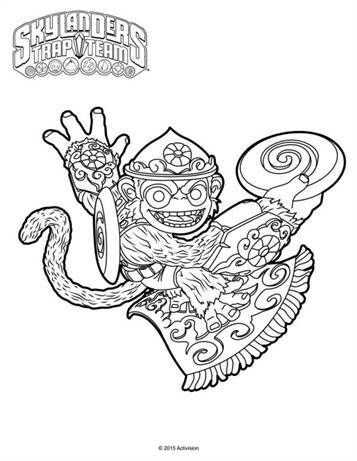 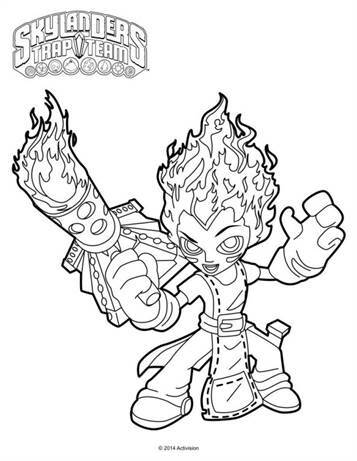 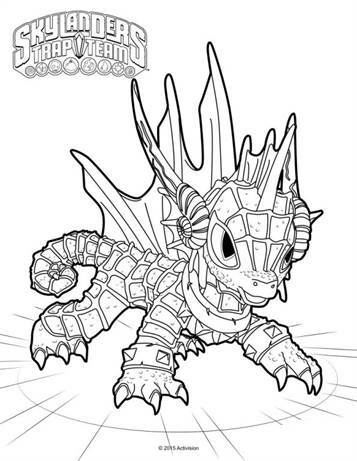 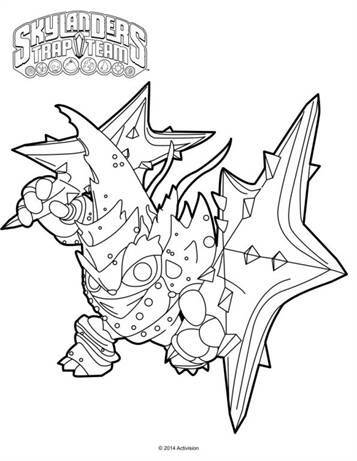 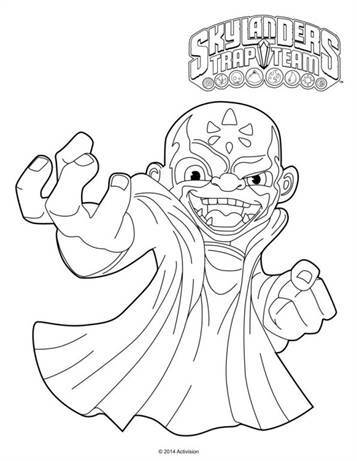 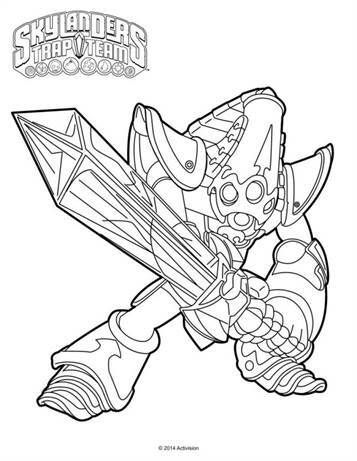 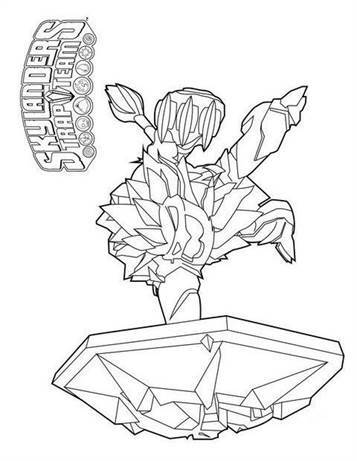 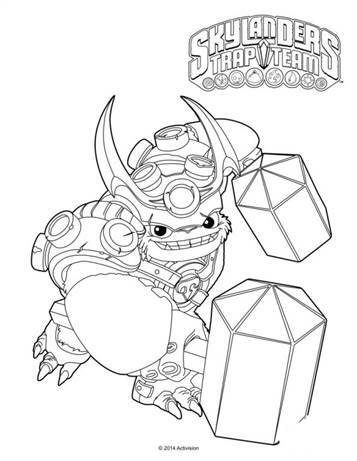 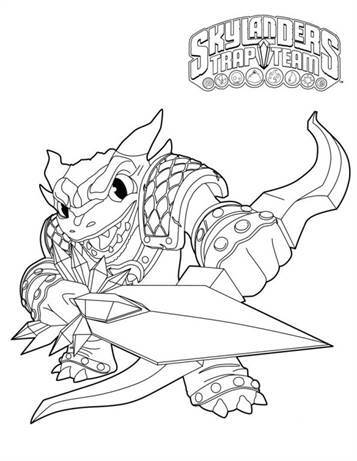 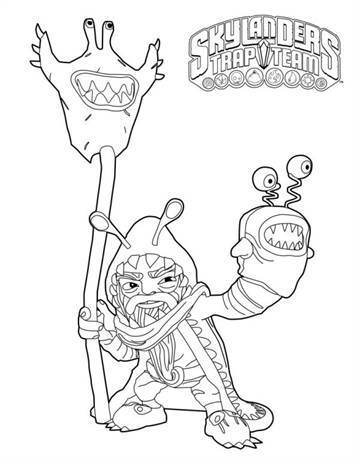 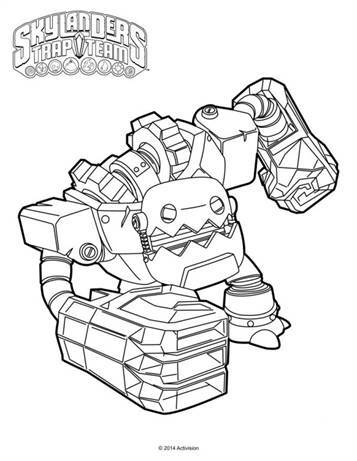 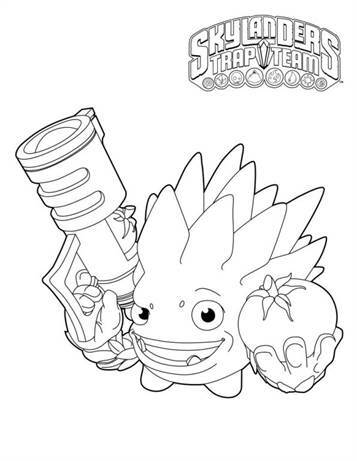 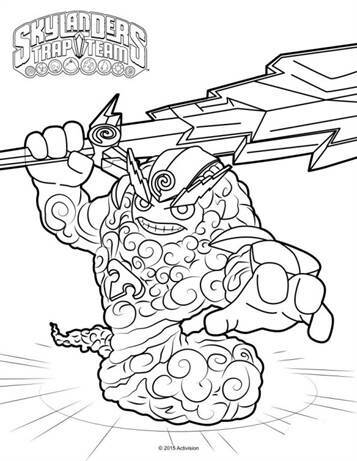 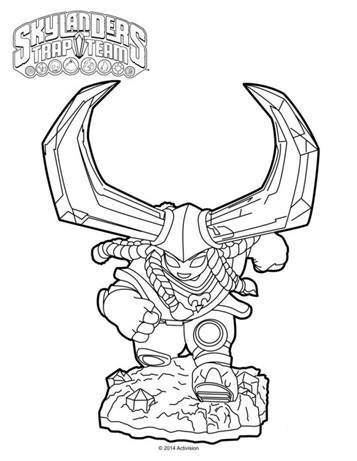 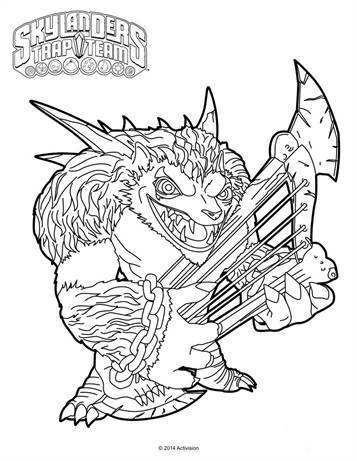 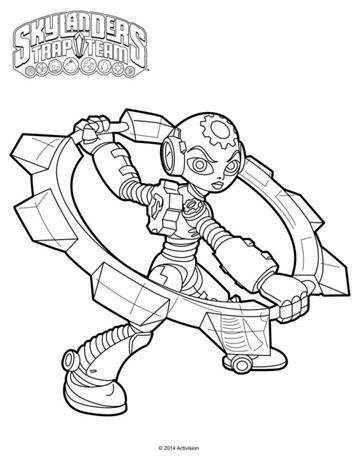 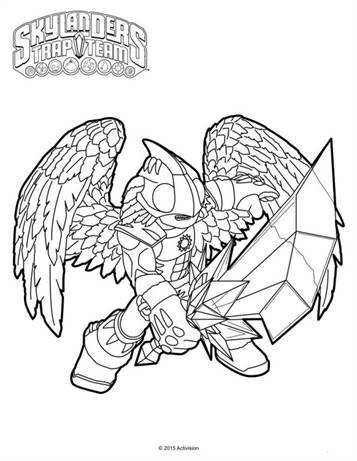 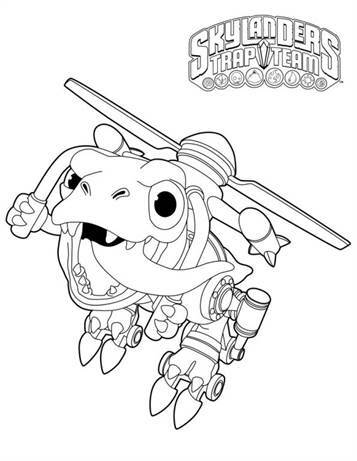 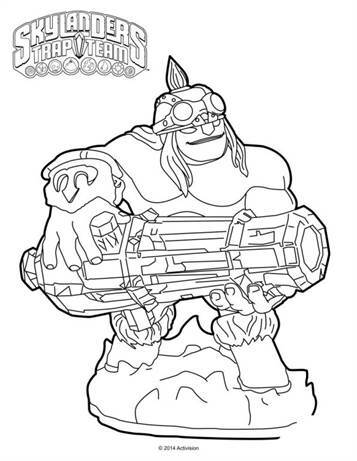 Coloring pages of Skylander Trap Team. 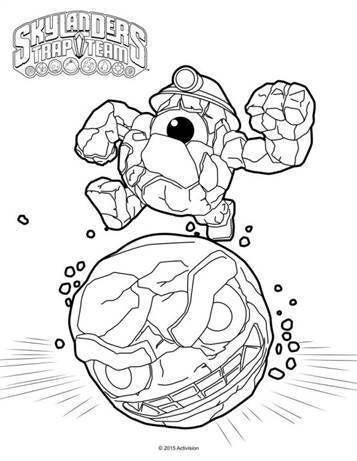 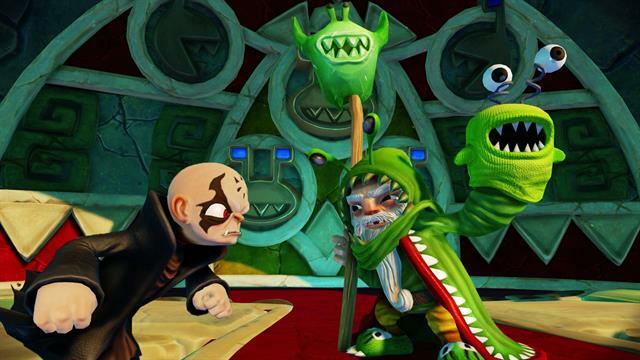 Kaos, the opponent of the Skylanders, has blown up the walls of the Cloudcracker prison in order to escape the villains. 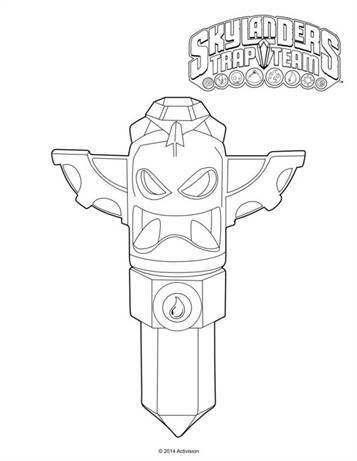 The aim is to find the villains and catch them in so-called 'traptanium' traps.